Over the years, degree courses have changed out of all recognition with a distinct emphasis on the practical application of theory learned in lectures. Taking that even further, many of the courses are now created to meet the specific needs of certain industries and the aspirations of students to work within these specialised areas. Motor racing is one such area that has grown in importance as the technical aspects of the sport become ever more demanding. You can find a great example of this thinking in action at the University of Wales Trinity St David. 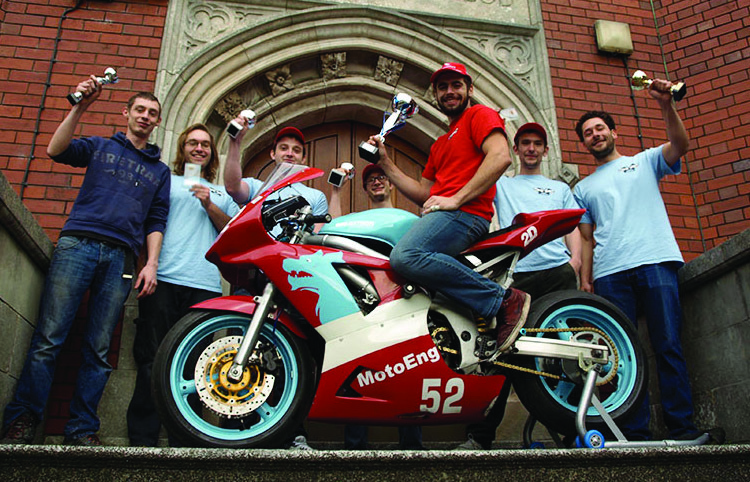 There a group of students studying engineering, or specifically motorcycle engineering, have decided to put their theory into practice and start their own race team, Orthrus Racing. Originally the team comprised of a group of seven, but with the attention gained through their academic success, this coming season their numbers numbers will have swollen to 20! The results might have something to do with it. Seven podiums and 18 top ten finishes would be no mean achievement for experienced racers, but for a fledgling team that’s mighty impressive indeed. The fact that it was all self funded more impressive still. And home grown in so far as the riders are students too adds to the achievement. Their season started with competing in the North Gloucester Road Racing Championships, ably led by rider Sam Mousley. 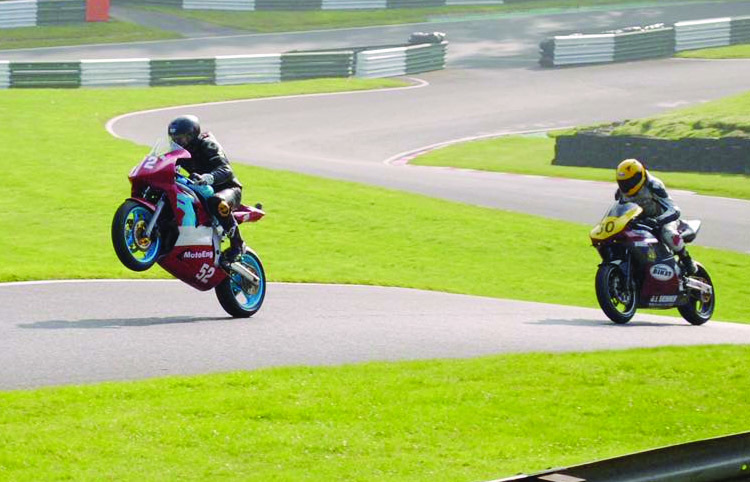 Novice racer Sam gained a podium in only his third time on a racing bike and progressed throughout the year to end with a second place finish at Thundersport GB level, against a considerably more experienced grid of competitors. Watch out for his name, he could definitely be going places. Next season will see Orthrus building on that success. In fact so impressed has the university been with the team’s progress and the commitment and academic success of the students involved (not to the PR that they have undoubtedly gained), they have funded the purchase of as it were, a rolling laboratory in the shape of a 2008 Yamaha R6! 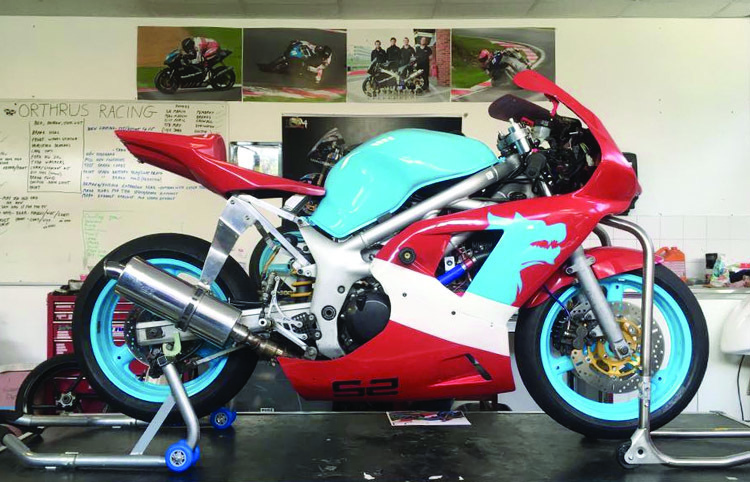 The bike will compete in the Thundersport GB Pre-National Sport 600 class and with the research and development resources available at the university, hopes are high. Added to Sam on the Yamaha, will be two new student racers who will be competing in Stocktwins, Matt Powell and Joe Thomas who has 11 years of competiton already behind him. No wonder then that Orthrus are hoping for great things. But their ambitions don’t stop there. In 2018 they are hoping to take on what must be the ultimate challenge for bike racers everywhere, competing in the Manx Grand Prix on the Isle of Man. We’ll certainly be along for the ride. To keep track of their progress as they build towards the big one, visit their facebook page.